When soil erosion becomes a big enough problem for a piece of land, it has to be abandoned. This is a concern for farmers and environmental protection groups alike because it means that new land will need to be cleared and used as farmland. 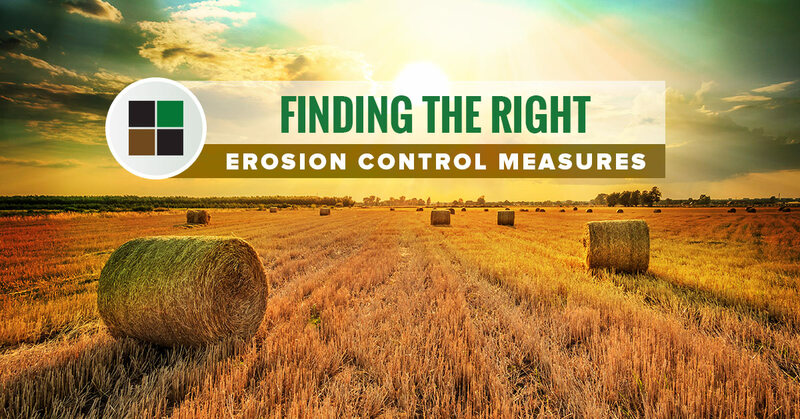 Reducing the amount of erosion that occurs, though, can help keep ag production costs lower, keep more land in it’s natural state, reduce flooding, and produce more healthy and bountiful crops. Our agricultural development team in Greeley understands the importance of battling soil erosion and can help you find the solutions that you need. What Soil Erosion Measures Are Available? There has been an increased interest in soil conservation and soil erosion prevention since the Great Dust Bowl in the 1930’s. Today, there are numerous methods that can help prevent erosion and keep land fertile and ready for planting. Here are just a few of the most popular options. Leaving crop residue. After the harvest, leave the residue and debris from your crops in the field. Stalks will help hold soil in place and any debris on the top will prevent the wind from blowing away the topsoil while you let the field fallow. Low or no tillage. Some ag operations are forgoing tilling. If they decide to till, they do it at a low speed. This prevents the movement of the soil and the wind working together to strip off that top layer. Using field shelterbelts. Trees planted alongside the field provide a number of benefits. First, they’ll keep the wind off of your land for a distance of up to 30 times the height of the tree. Secondly, they can help you trap more moisture from snow, which can also help prevent erosion. Keeping the soil rough. Soil that’s smooth and flat on the surface is in more danger from wind and rain. If you keep your surface rough, it prevents the wind from picking up those smaller dirt particles and blowing them away. Using geotextiles. This is more practical for smaller plots of land, but it’s definitely an effective option. The textile will allow plants to grow and water to soak into the soil, but it won’t let the wind pick up and blow off that topsoil. Using mulch or fertilizer. If you don’t have crop debris, a mulch or fertilizer applied to your land will help keep soil in place. Which Soil Erosion Method is Right for Your Land? It depends on factors such as your crop types, soil composition, location, and budget. Our agricultural development team can help determine which option is the right one for you. Get in touch with us today by giving us a call or contacting us through our website to learn more about finding the right soil erosion method for your land.